If there is a change of Australian Government at the next election, they will be tested very early in their term to determine the coherency of their policy on China, their engagement strategy and their resolve as a Government. This is critical – because at the end of the day, while having a narrative is great – having the will and determination to enact it is even greater. I note that this is a narrative, defined as a clear and comprehensible story line that explains why Australia must engage deeply with China. A narrative does not attempt to provide the answer to how. This is not a new China policy, it is a narrative. I don’t believe that Australian business yet understands the risks. The next-to-final draft of ‘A new China narrative for Australia’ is the result of several brainstorming sessions, involving at least 30 Australian individuals from security, business, the university sector, and the public service. Ms Linda Jakobson, CEO and Founding Director of China Matters is the principal contributor to the narrative, with additional contributions from Prof Stephen FitzGerald AO, Prof Allan Gyngell AO, Mr Jackson Kwok, Mr Andrew Parker and Prof Michael Wesley. The idea emerged following feedback from the China Matters Explores policy brief, ‘Is there a problem with Australia’s China narrative?‘ which Linda Jakobson co-authored with Professor Stephen FitzGerald. Rather than find fault and point out current failings, they felt it more prudent to explore what a new China narrative might look like. As of 1 May the authors will review what was said at the launch of ‘A new China narrative for Australia’, as well as the suggestions sent by email. A final revision will take place in May before the narrative is presented to the new Government after the federal election. 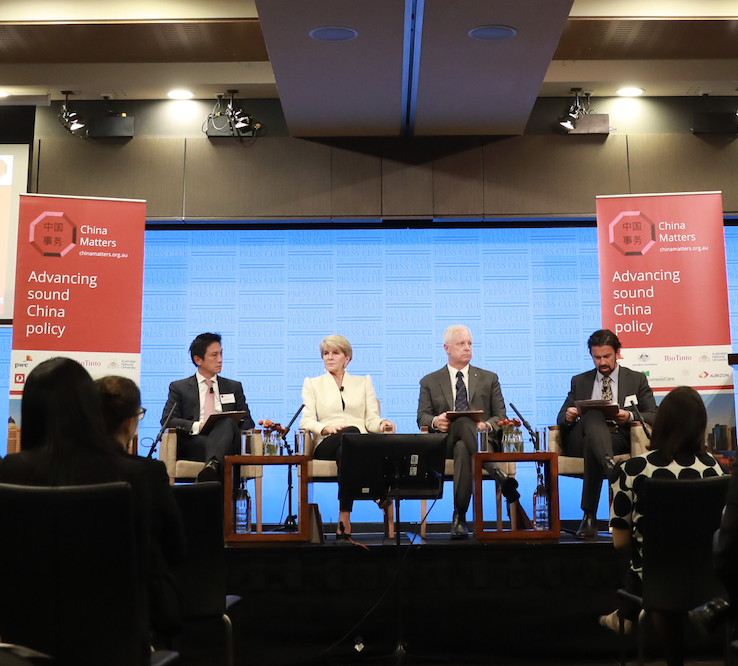 On 26 March 2019, China Matters launched the draft of Australia’s new China narrative at the National Press Club in Canberra. For more information about the event, including photos and panellist details, click here. To listen to a podcast of the event click here.